The Zip file contains a high resolution textured scan model with 1 Million polygons in Obj format. The Zip file also contains a low resolution version for game design and long range shots with 30 thousand polygons and with textures. The Zip File contains additionally to the Houdini File a Project File for the 3d Tool Blender with Principled Shaders. All textures are in 4K suited for principled shading in Houdini and other 3d Tools/Engines which provide a pbr principled shader support, like Blender. The zip file contains no Specular maps, cause not needed within a principled shader. The Houdini Shader has Subsurface Scatter Support to create a absolutly realistic looking result. 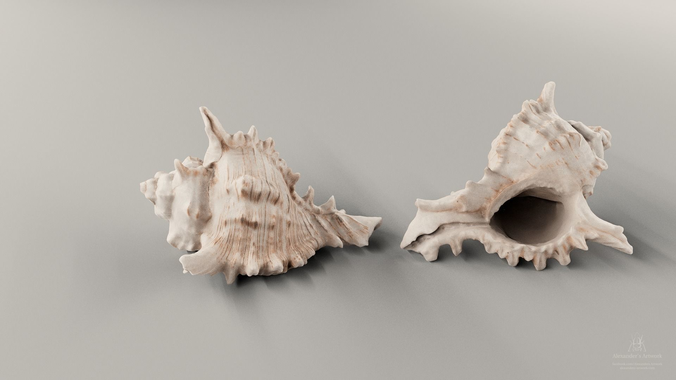 This is the perfect 3d Model for your close-up shots no matter if you place it on a realistic desk scene or on a beach scene, it will bring life into your shots, because its the high resolution 3D Scan of the true beauty of Nature.